Obituary – Lynch, Wilma Katherine (Wetzel) « Perry High School Alumni Association, Inc.
Mrs. Bill (Wilma) Lynch, 51, of Yucaipa, Calif., and formerly of Perry, died of illness Saturday at a Yucaipa hospital. Funeral will be at 2:30 p.m. Tuesday with burial at Desert Lawn Memorial Park, Calimesa, California. Mrs. Lynch was born December 16, 1915 to Thomas Maxion and Anna Dorcus (Huffington) Wetzel. She graduated from Perry High school in 1932. She and her husband, William Newton Lynch, formerly operated a floral business in Perry and moved to California about 17 years ago. 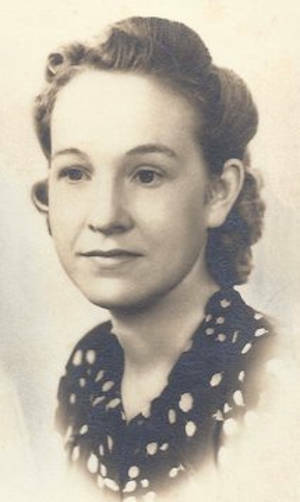 Mrs. Frances Lynch, mother of Bill Lynch, left Perry Saturday to go to California. Nick Wetzel, a brother of Mrs. Wilma Lynch, was to leave Perry Monday to fly to California. Among other survivors are two sisters, Mrs. Victor Coldiron, Downey, Calif.; and Mrs. Luticia Cathey, Roswell, N.M.; one other brother, Leo Wetzel, Morrison; and an uncle, Wilbur Huffington, of Perry.